If only you knew how many pizzas I have done in my days… you would be stunned! I first started making pizza dough at 14 years old during my first job as a kitchen assistant and then pretty much every Friday night for the fiancé and me. So what?! I love pizza! Plus, it’s homemade, what can go wrong? It can just be delightful! There is one thing I love most about pizzas and it’s that there are so many combinations of ingredients possible. It’s far from being a boring meal! In a large bowl, stir in the ingredients « FOR THE DOUGH” in the order mentioned above. 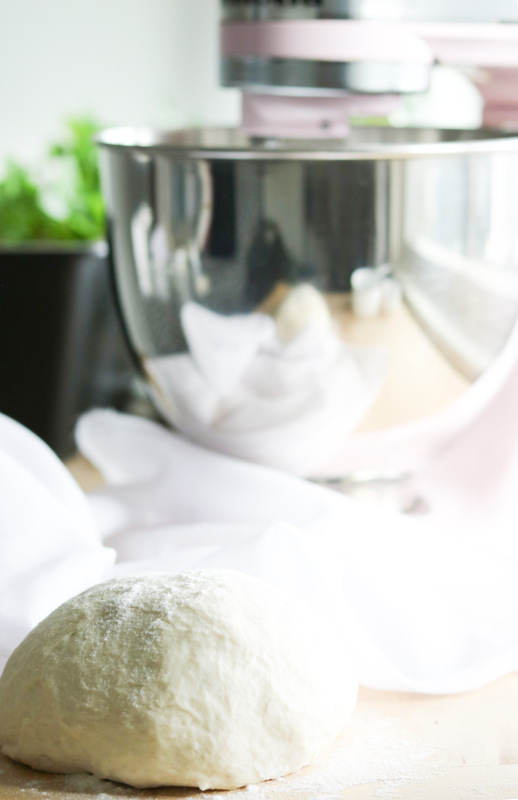 Stir the ingredients until you obtain a ball of dough. Cover the dough and let it rise for 1h. 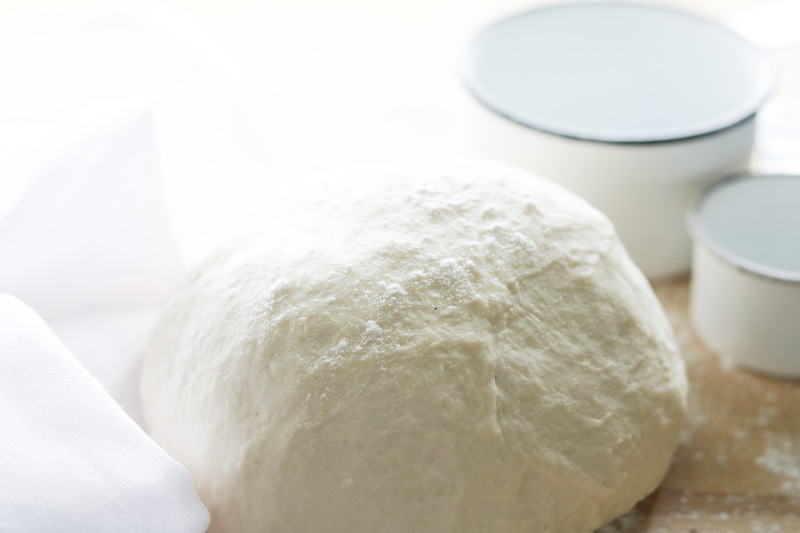 Stretch out the dough and create your favorite pizza! My all-time tip to allow the dough to rise properly and quickly is to turn on the oven at 300F for about 1 minute, just so your oven gets warm. Then turn off the oven and let the dough rise in the oven with the door closed and the light turned on! The dough will come out risen, soft and fluffy.